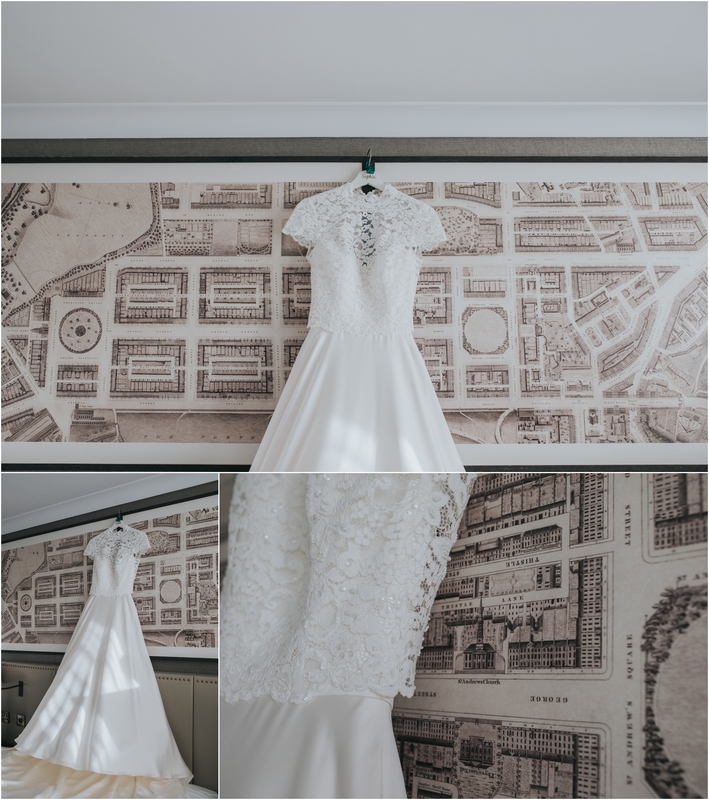 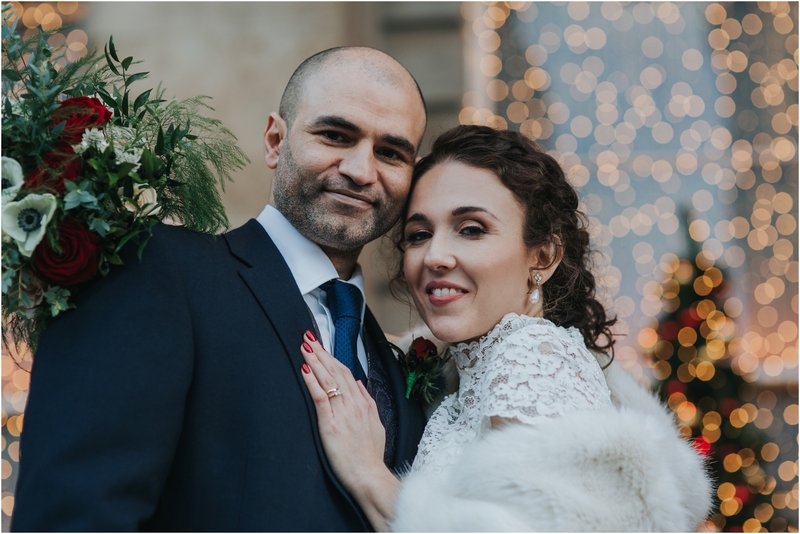 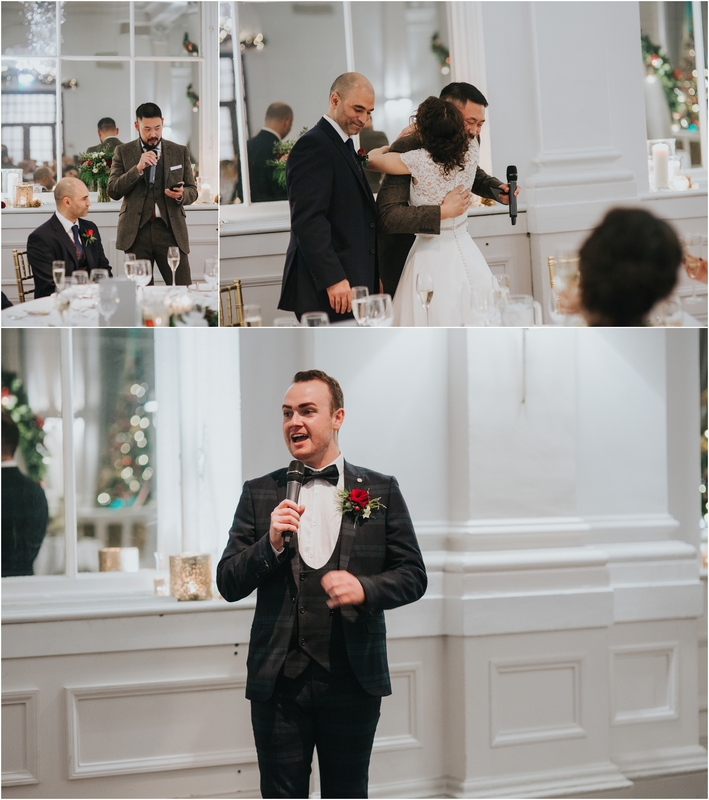 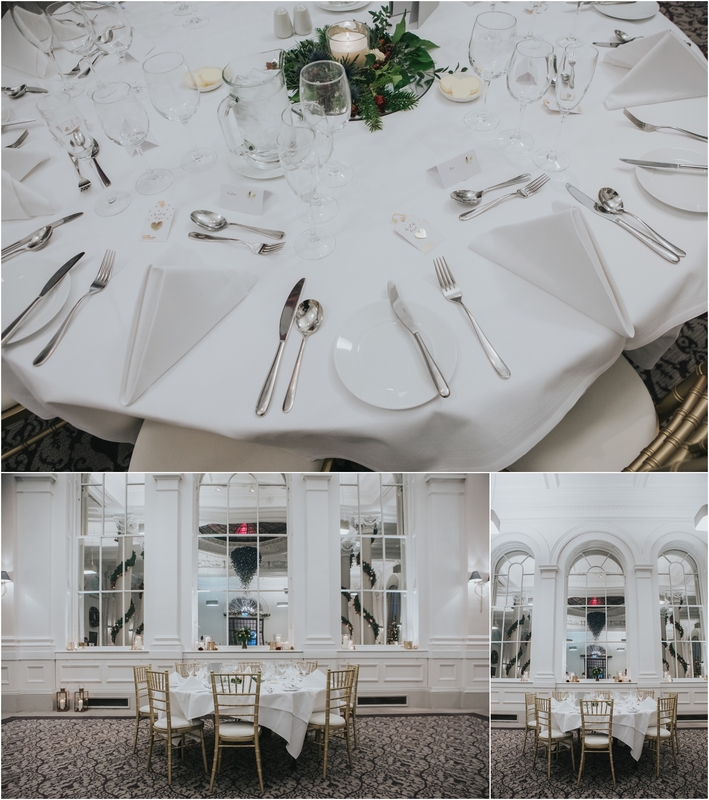 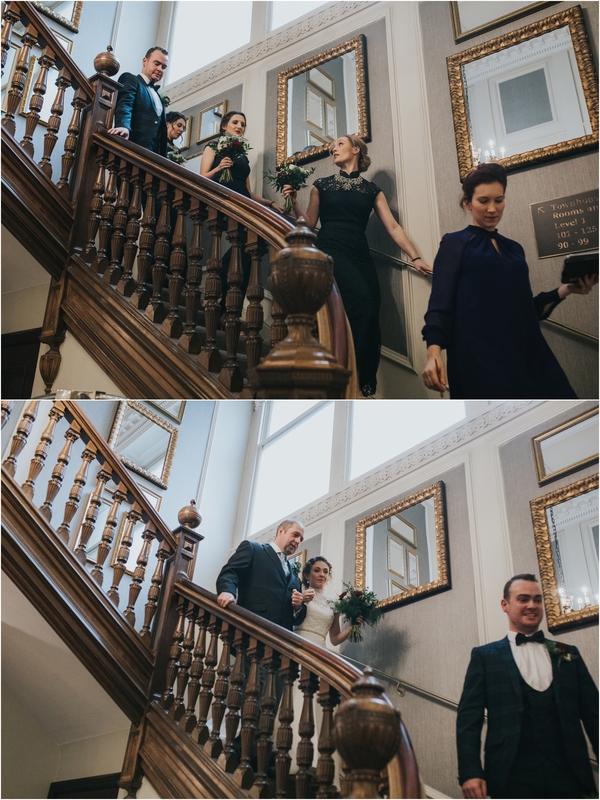 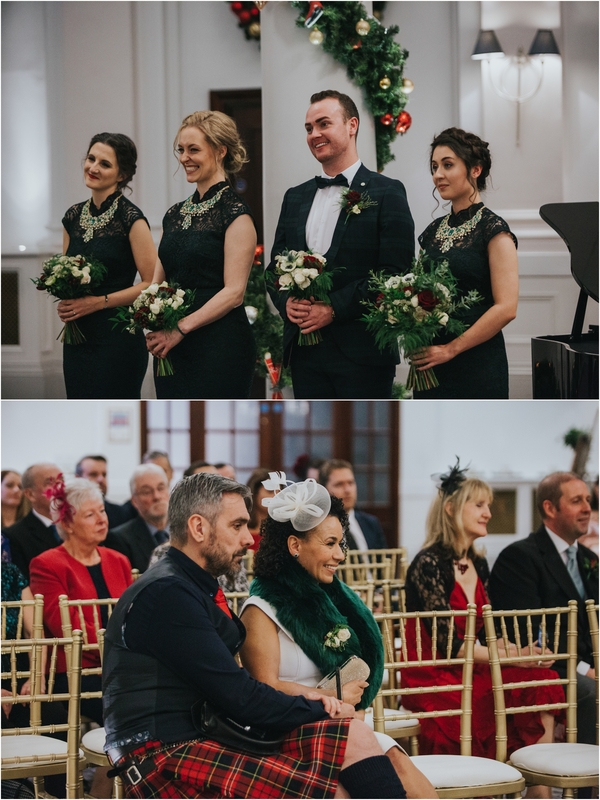 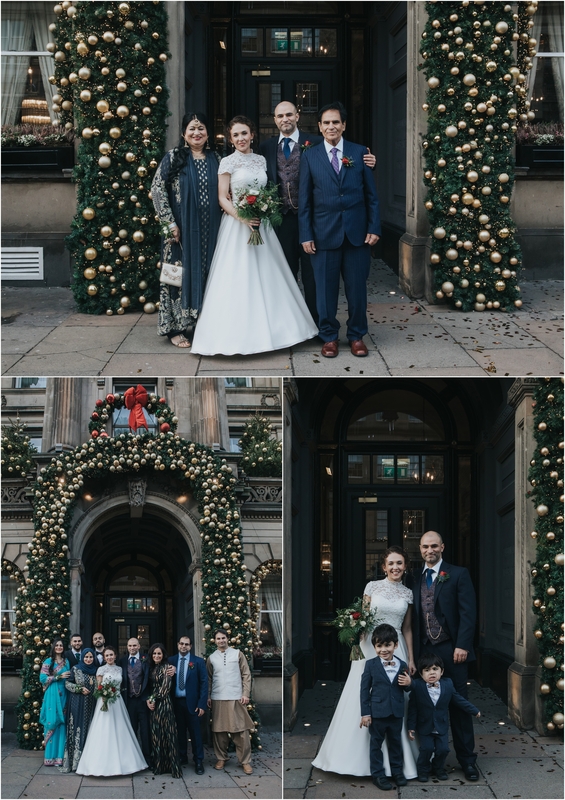 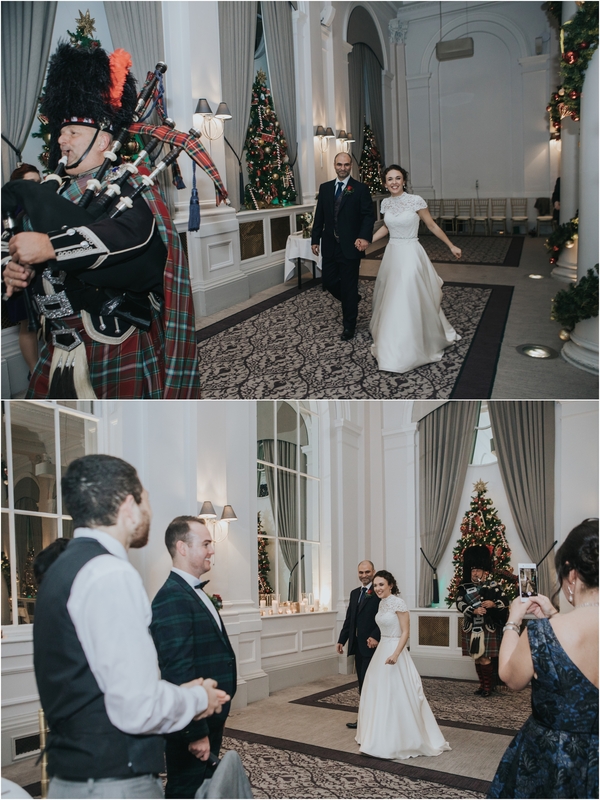 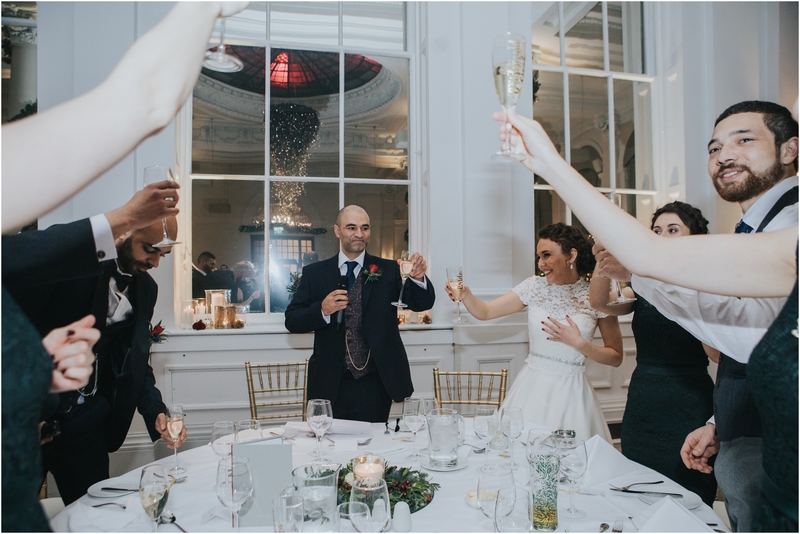 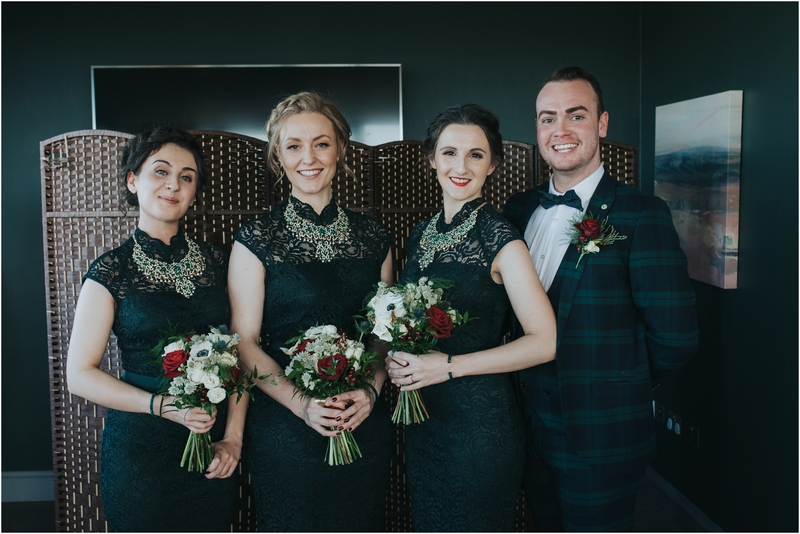 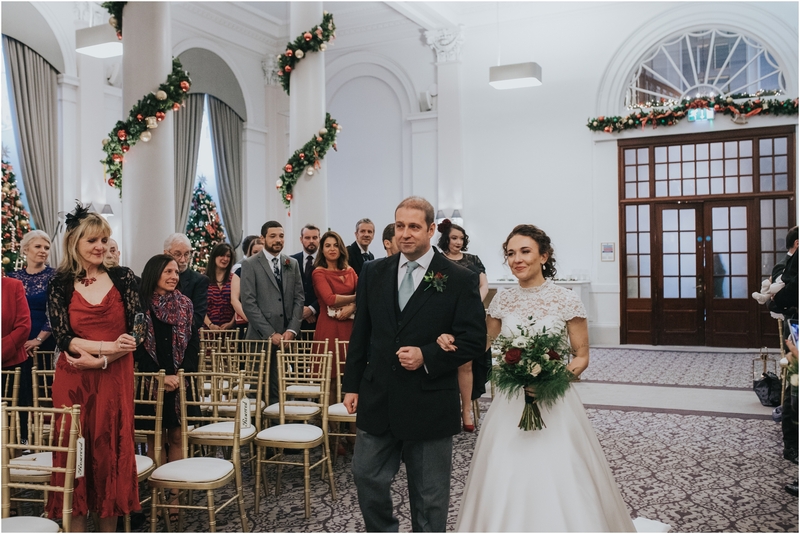 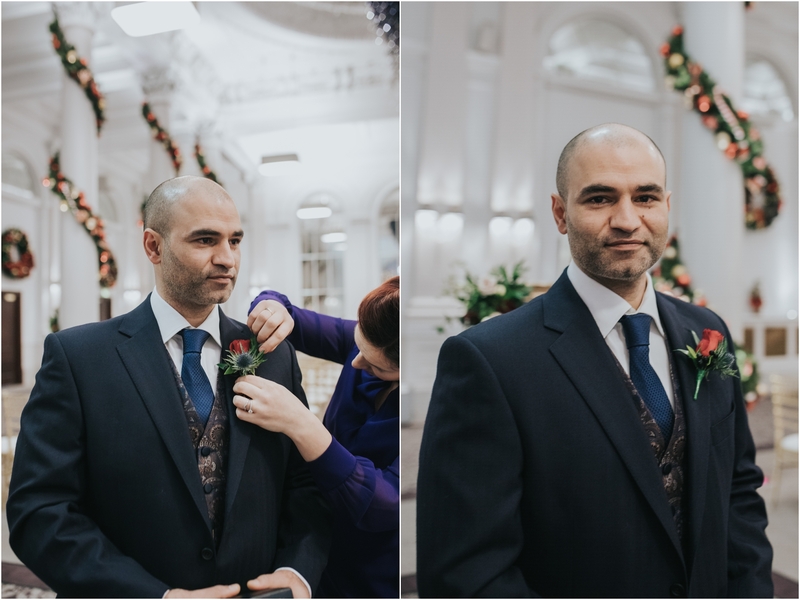 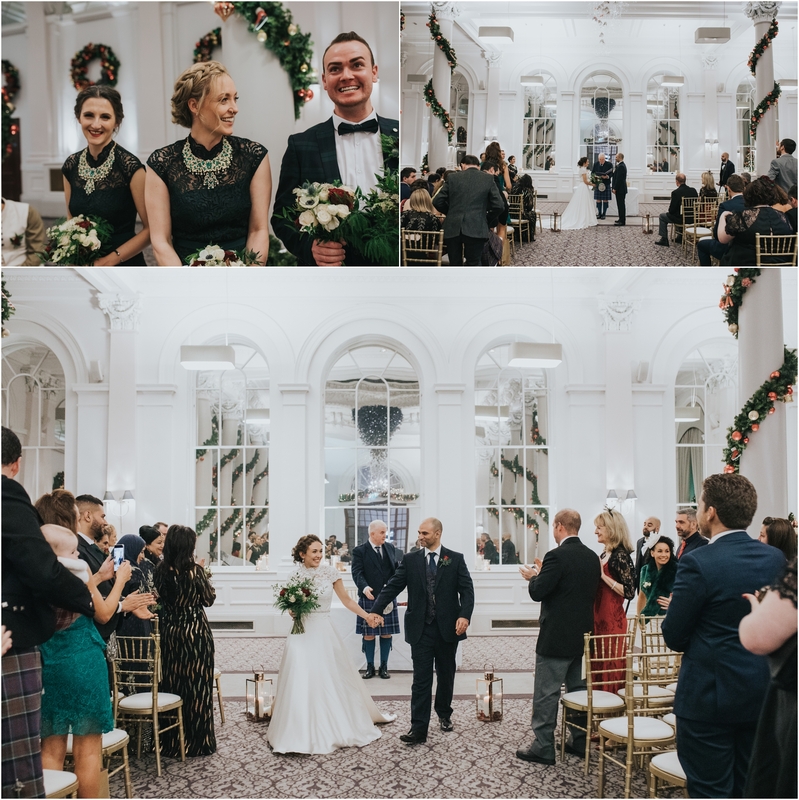 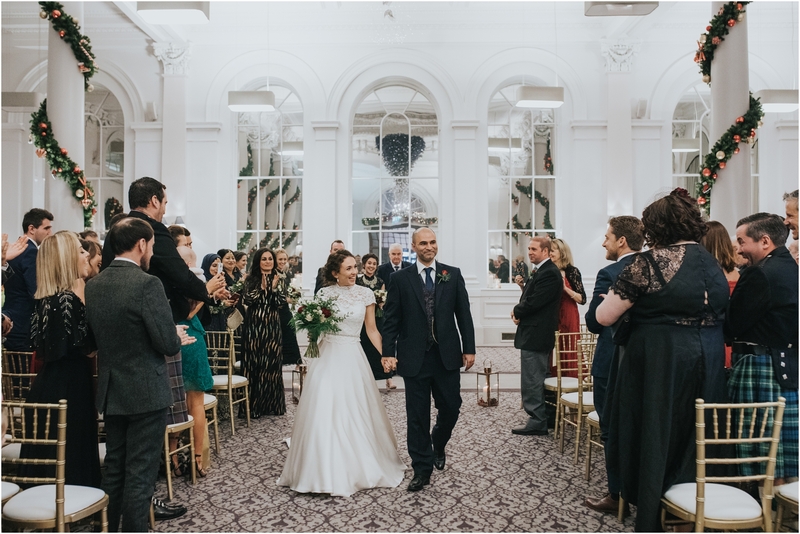 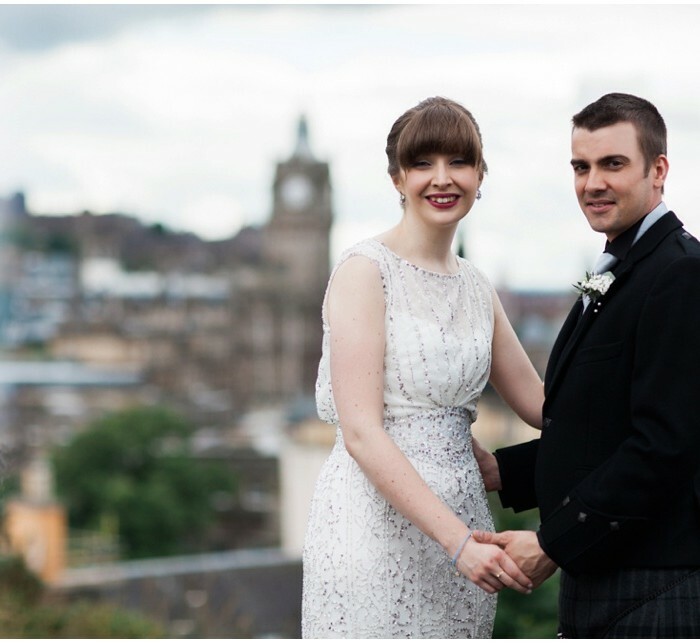 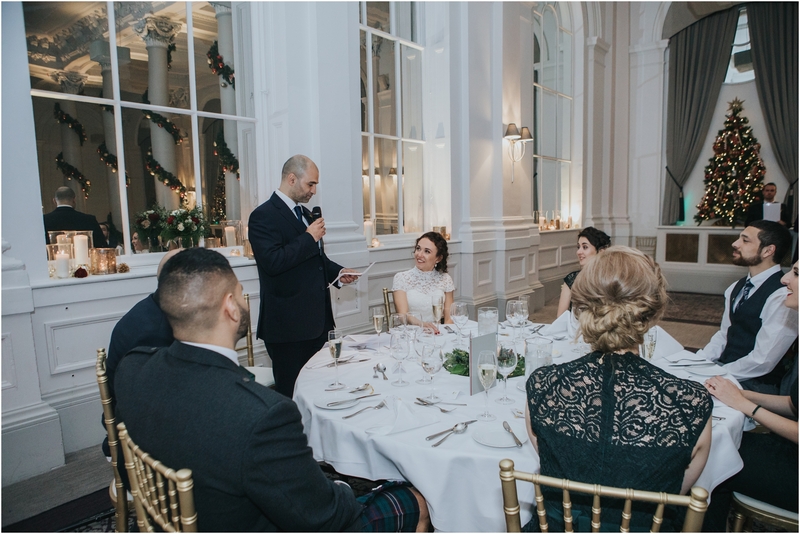 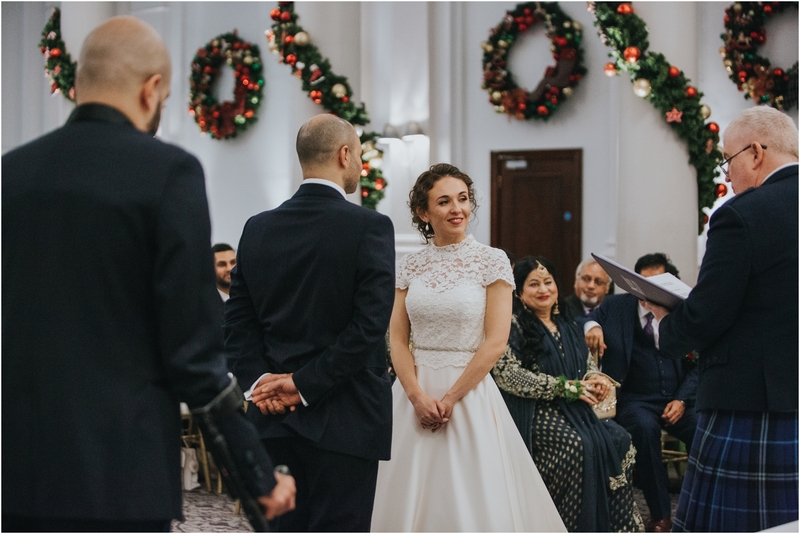 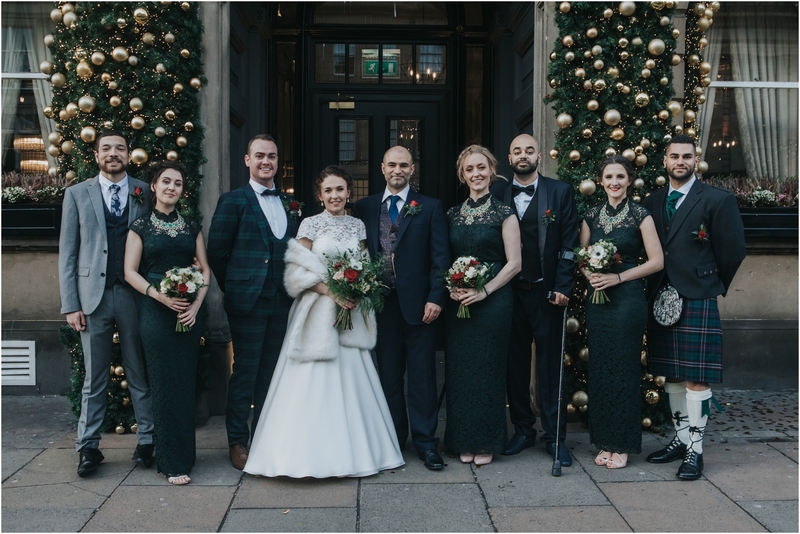 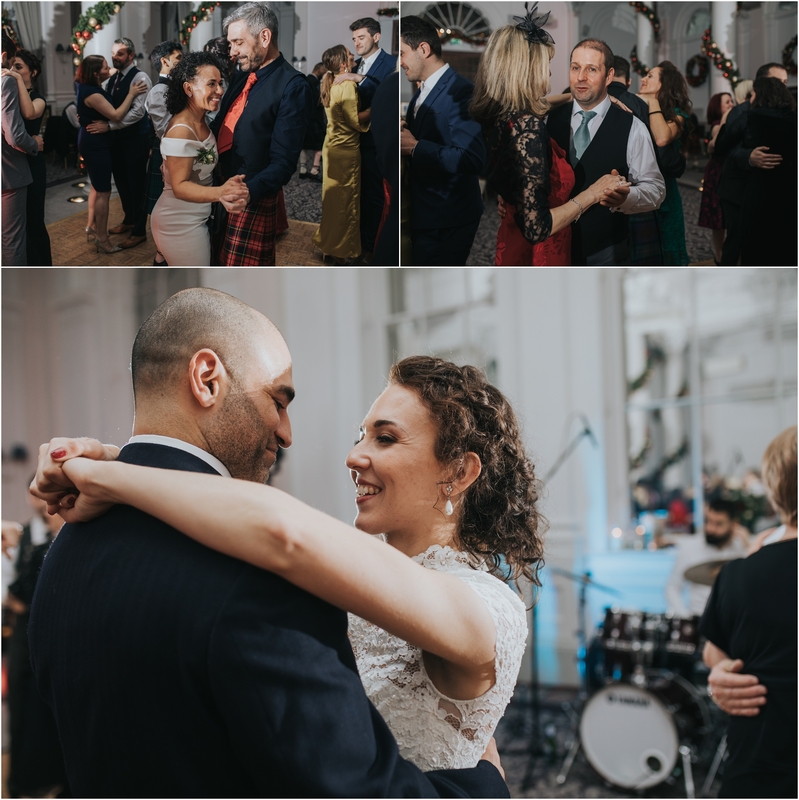 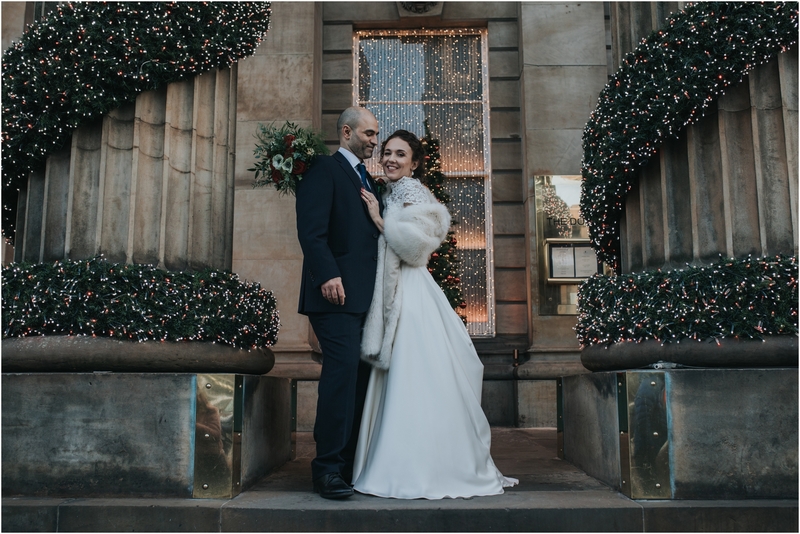 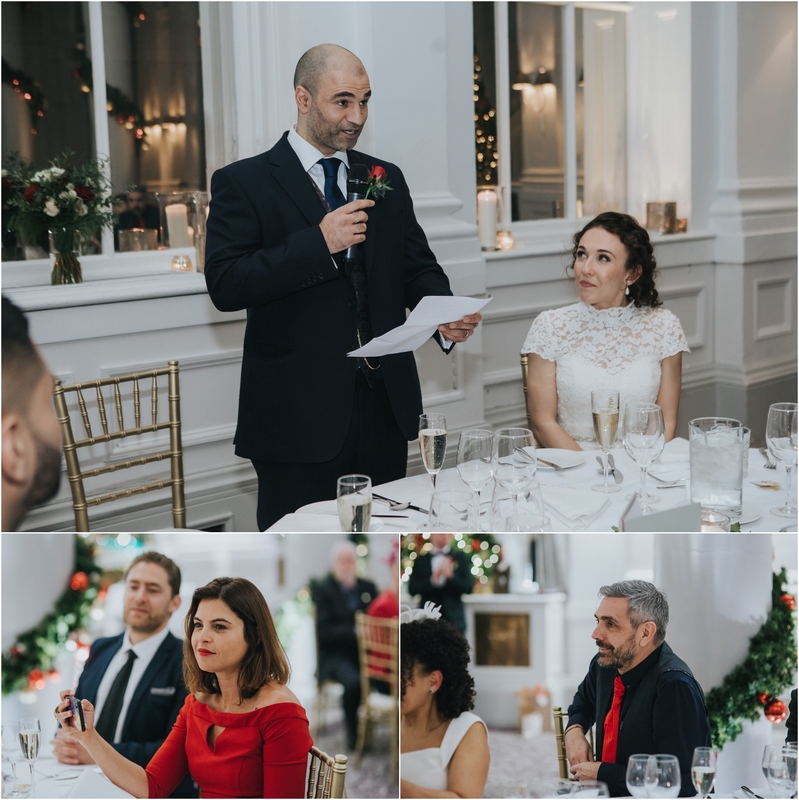 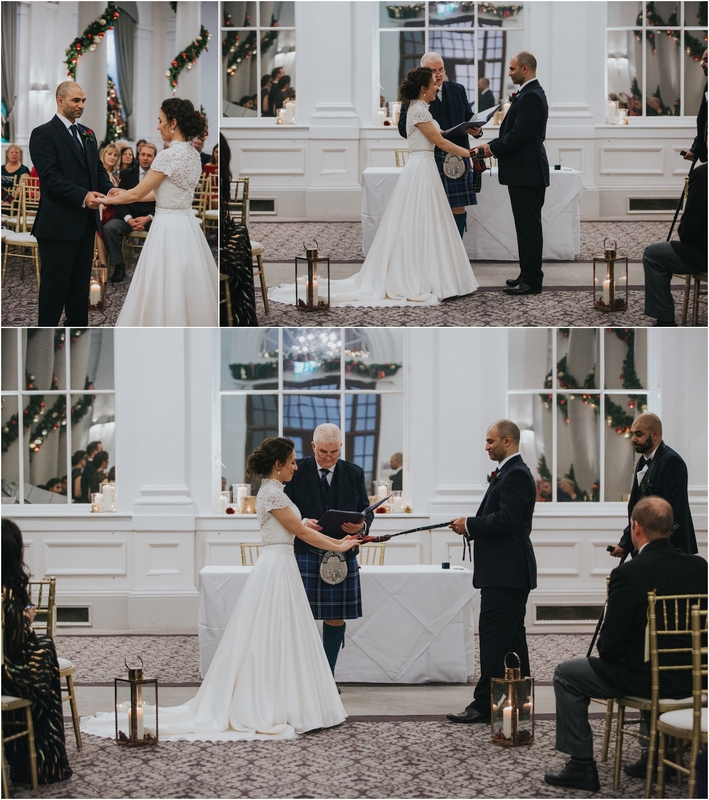 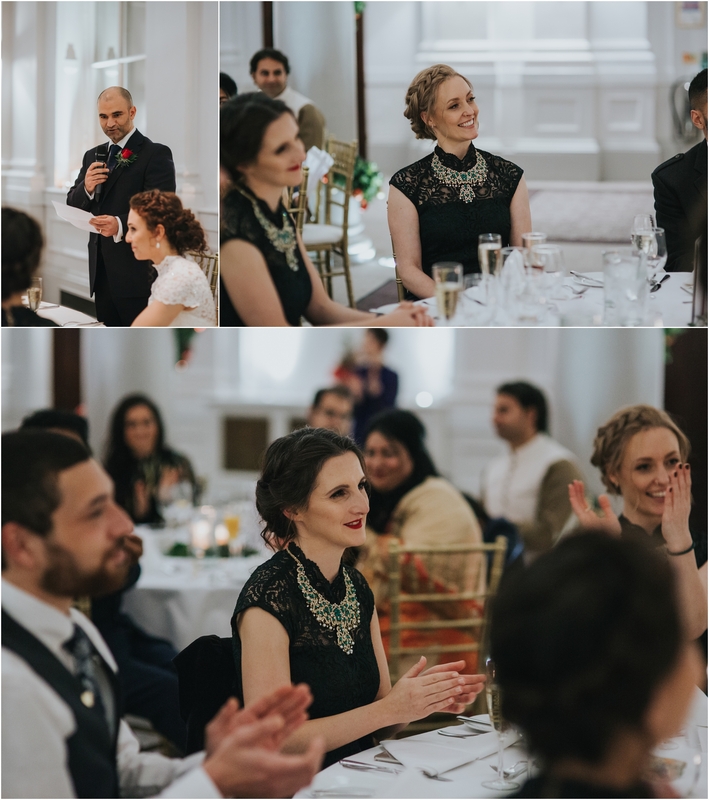 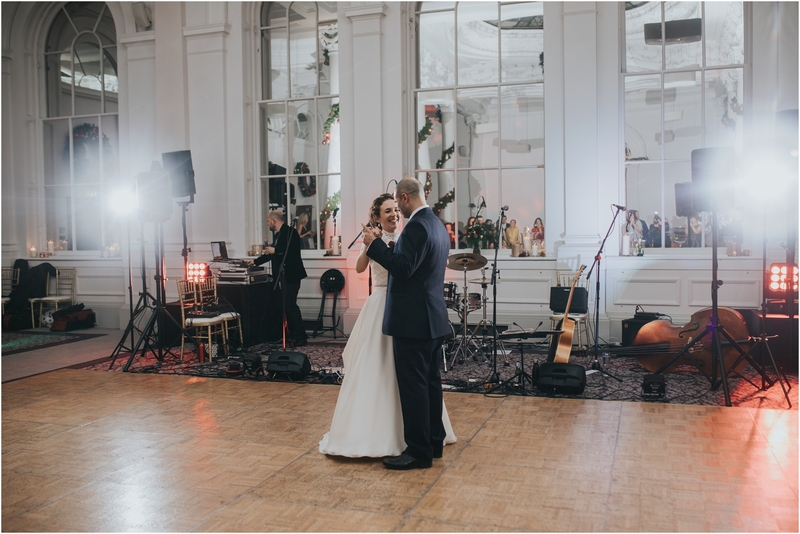 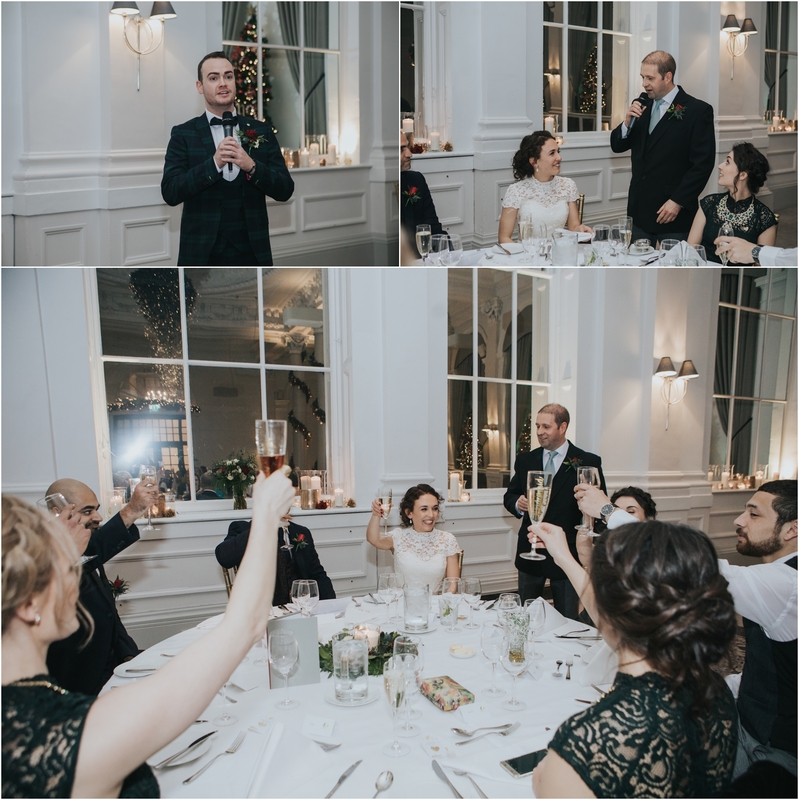 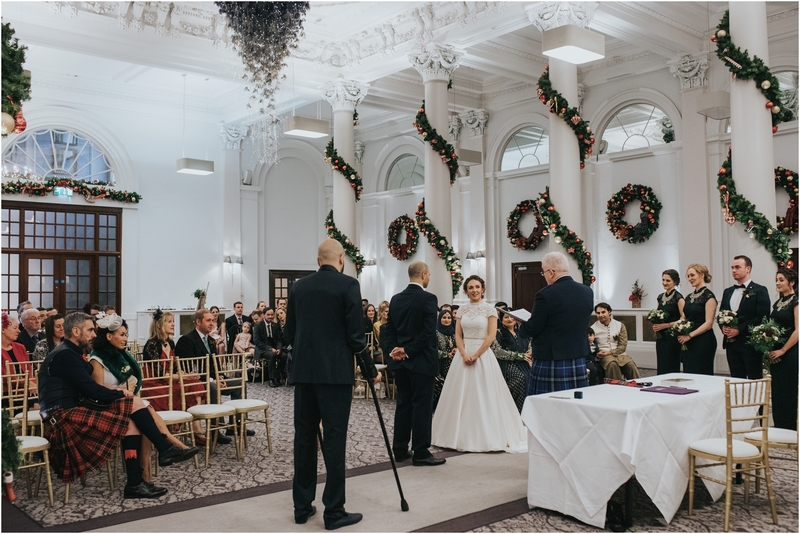 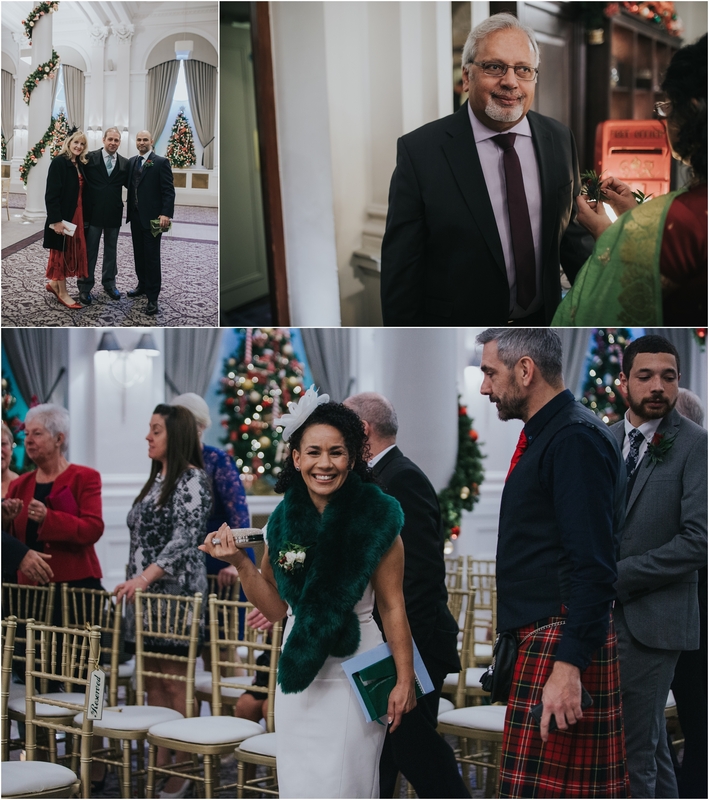 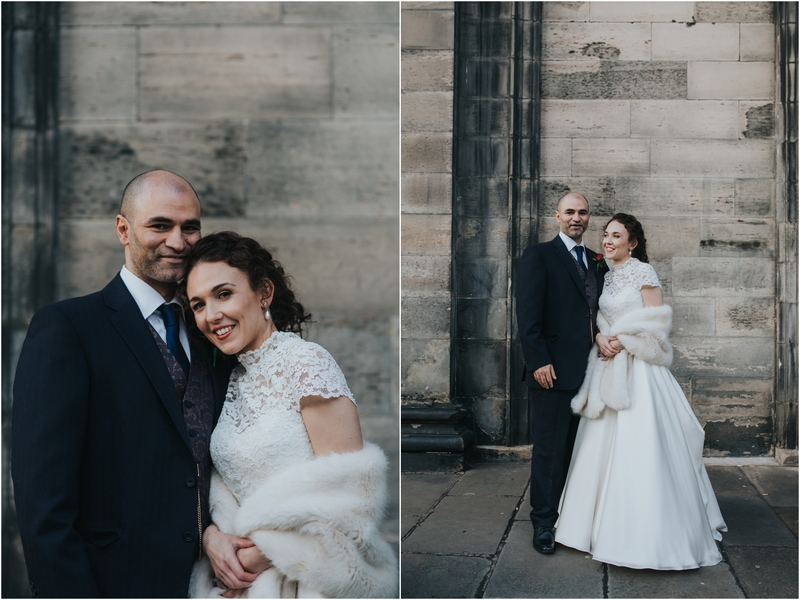 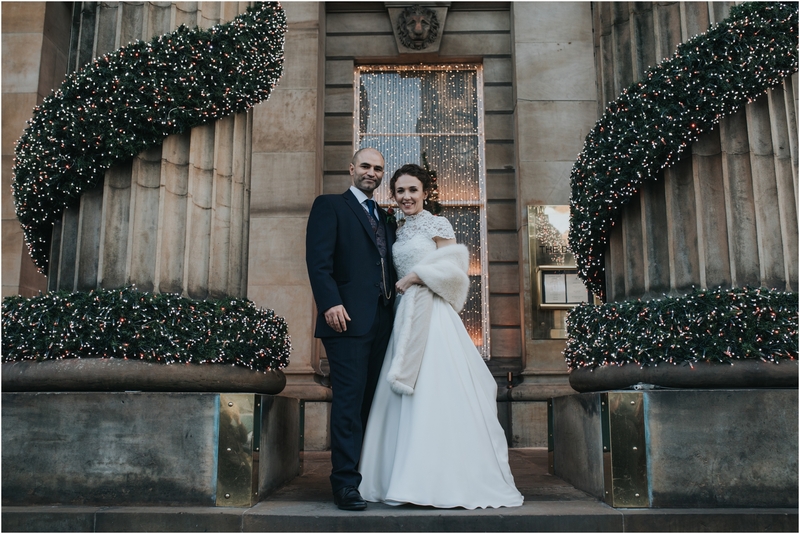 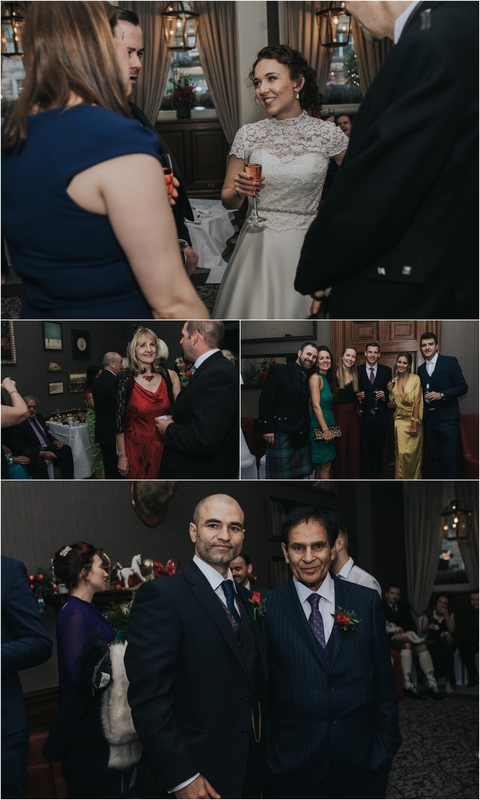 Congratulations to Sophia and Zee who got married at The Principal Edinburgh George Street. 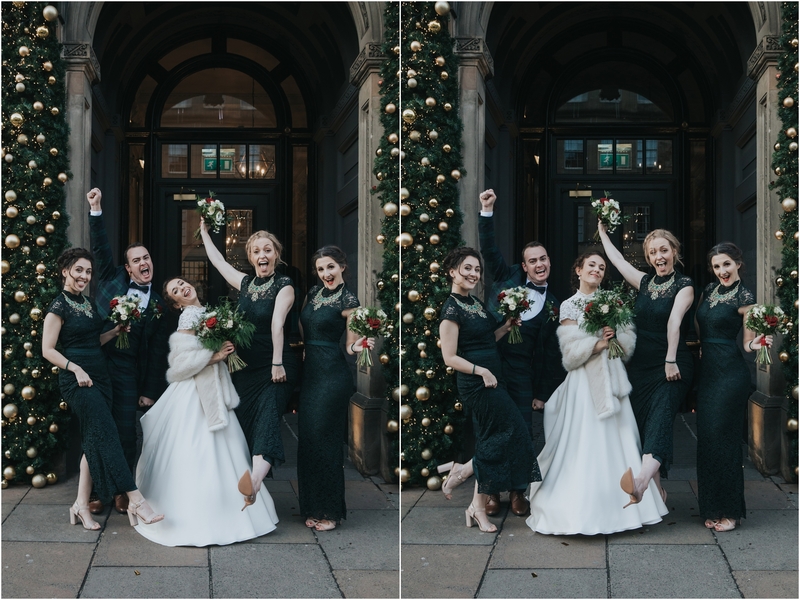 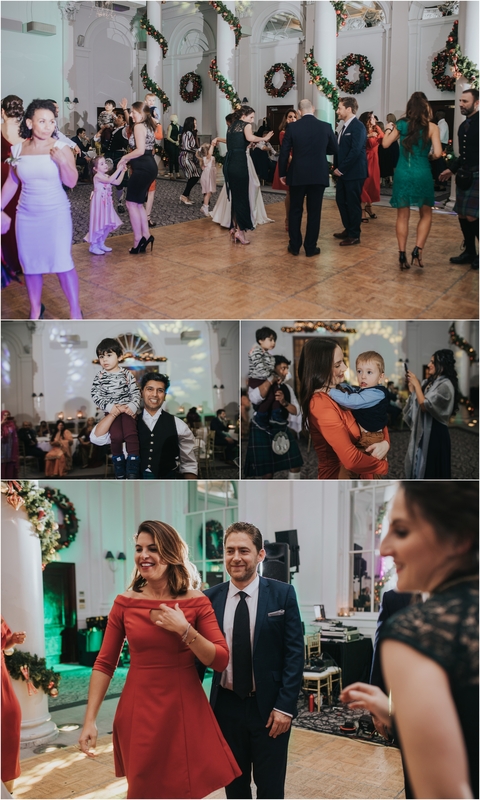 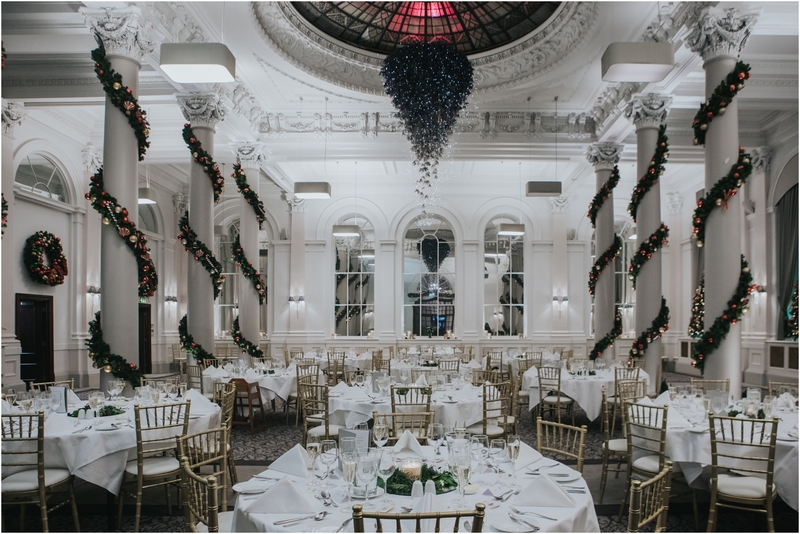 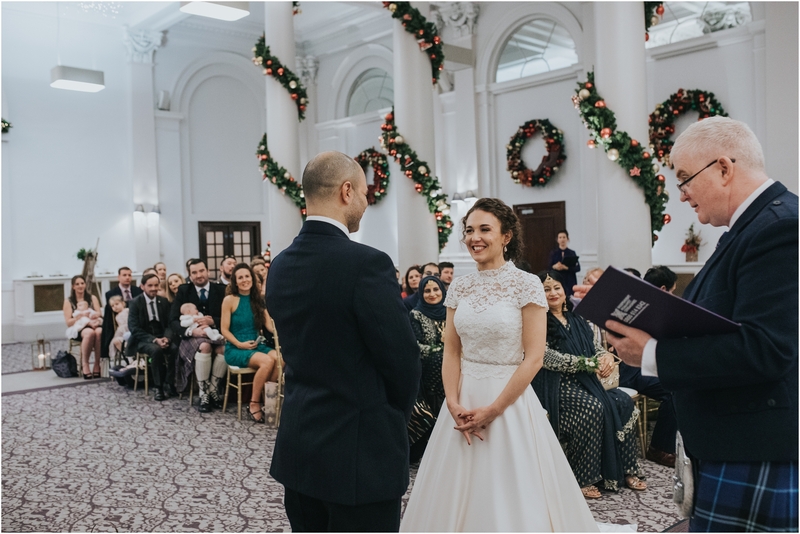 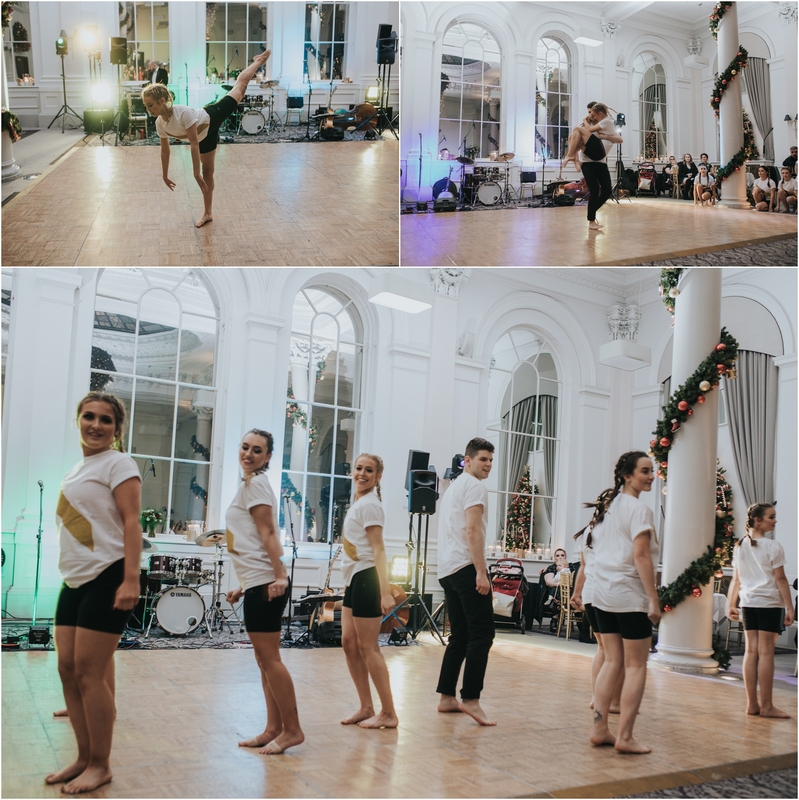 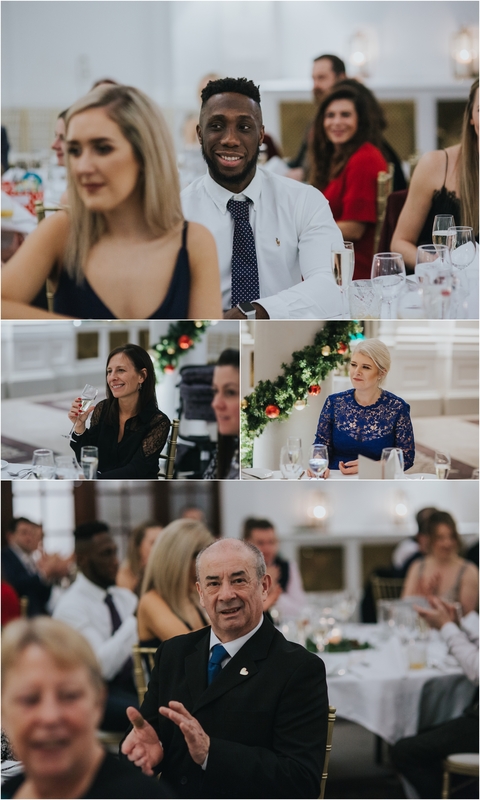 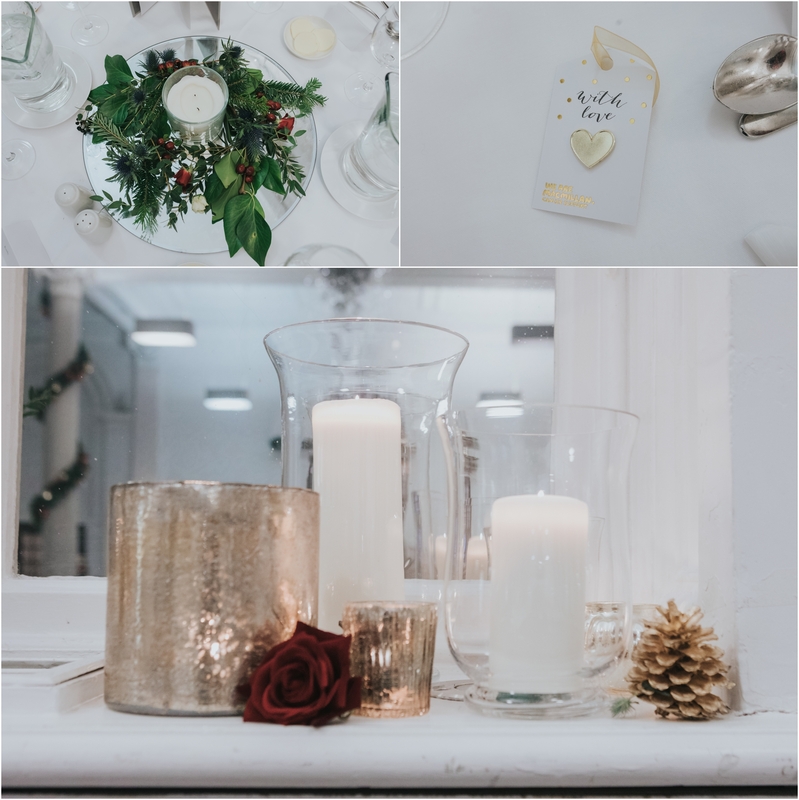 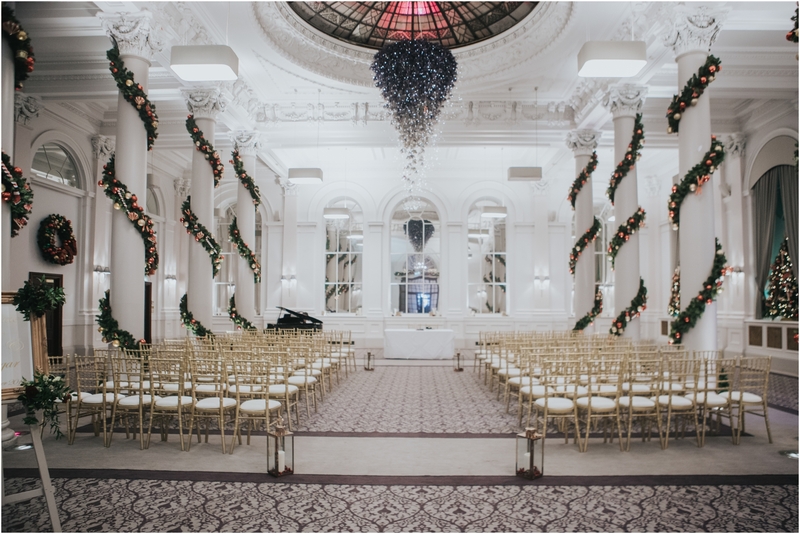 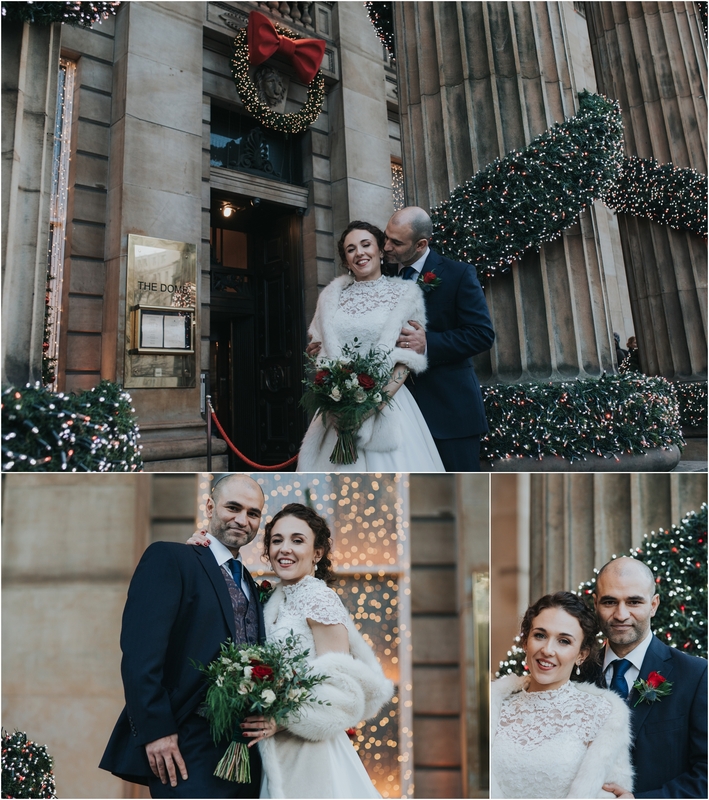 What an absolute fairytale Christmas wedding with all the gorgeous Christmas lights on George St and the fabulous decor in the venue. 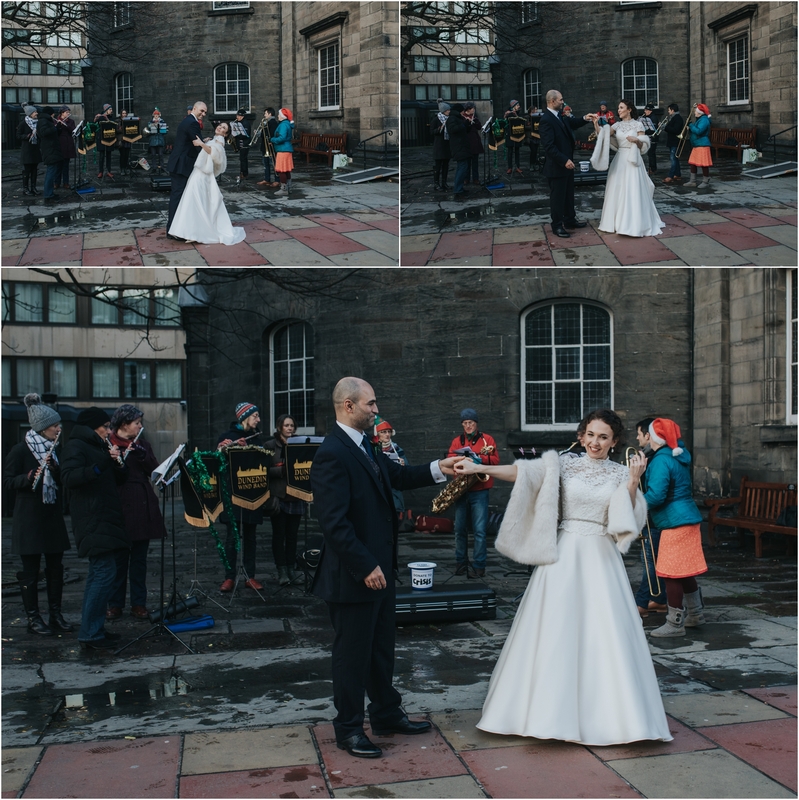 Their humanist ceremony made a fantastic relaxed start to the day, with lots of emotional tears. 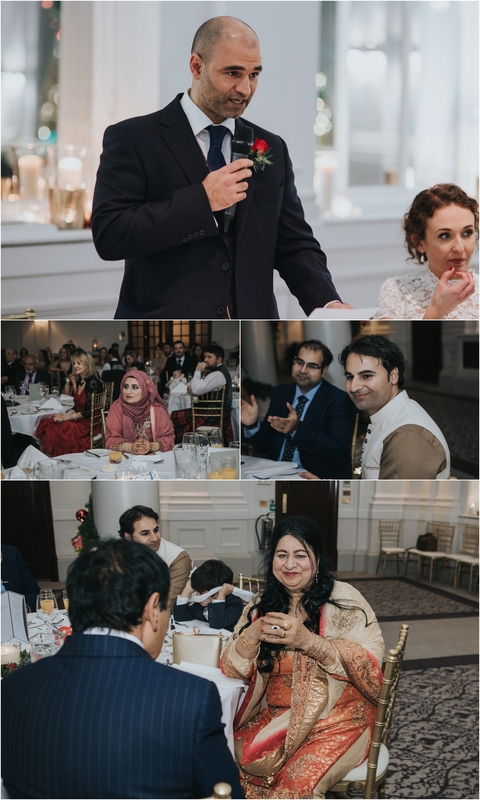 I loved the baklava as part of their drinks reception, so yummy and unique and perfect for the festive season. 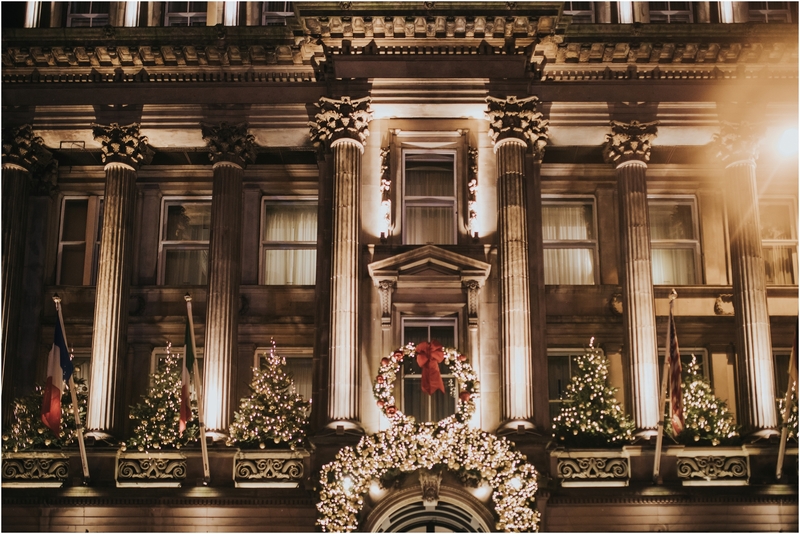 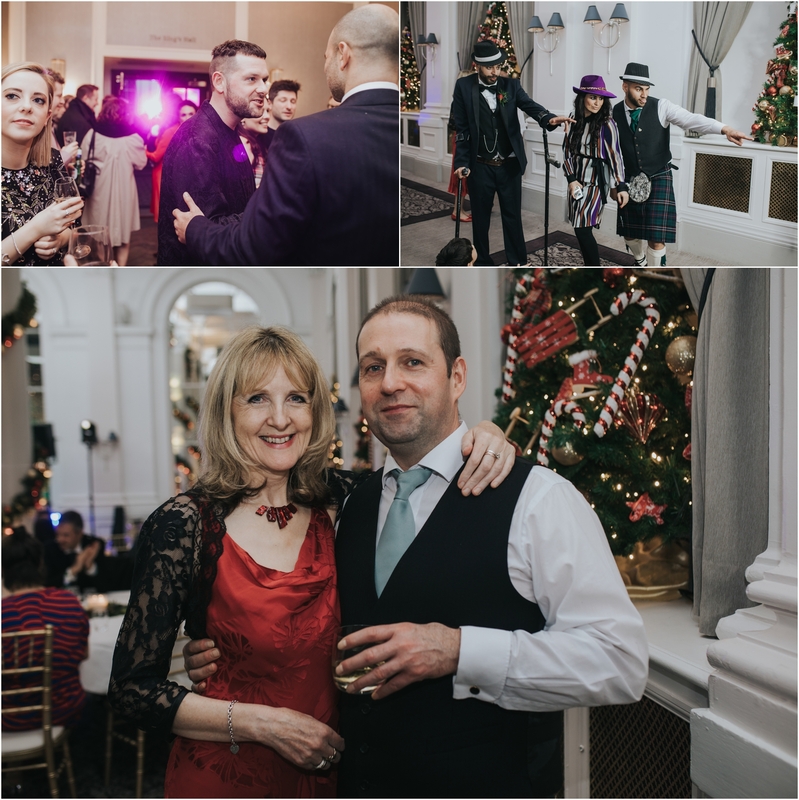 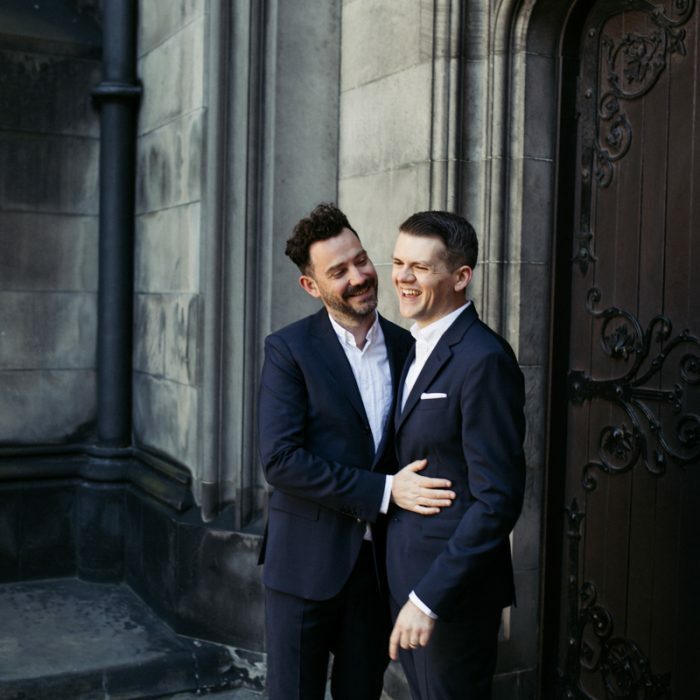 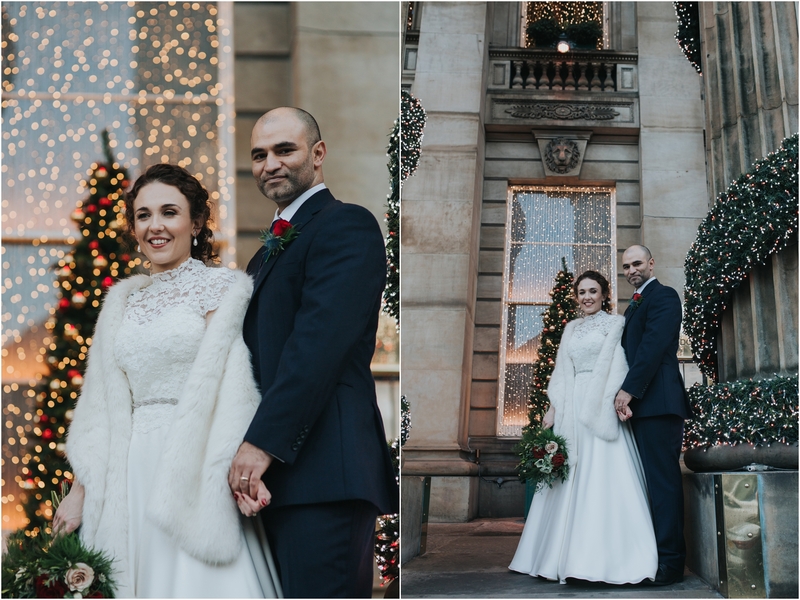 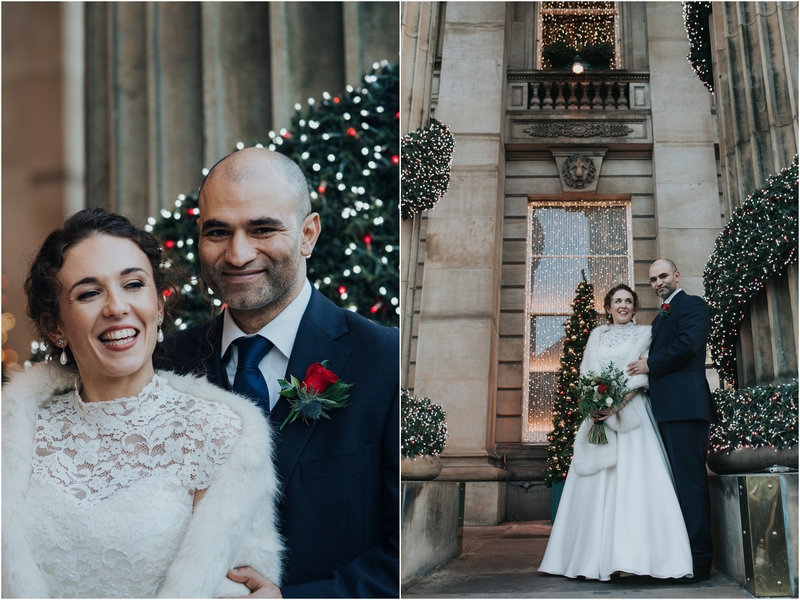 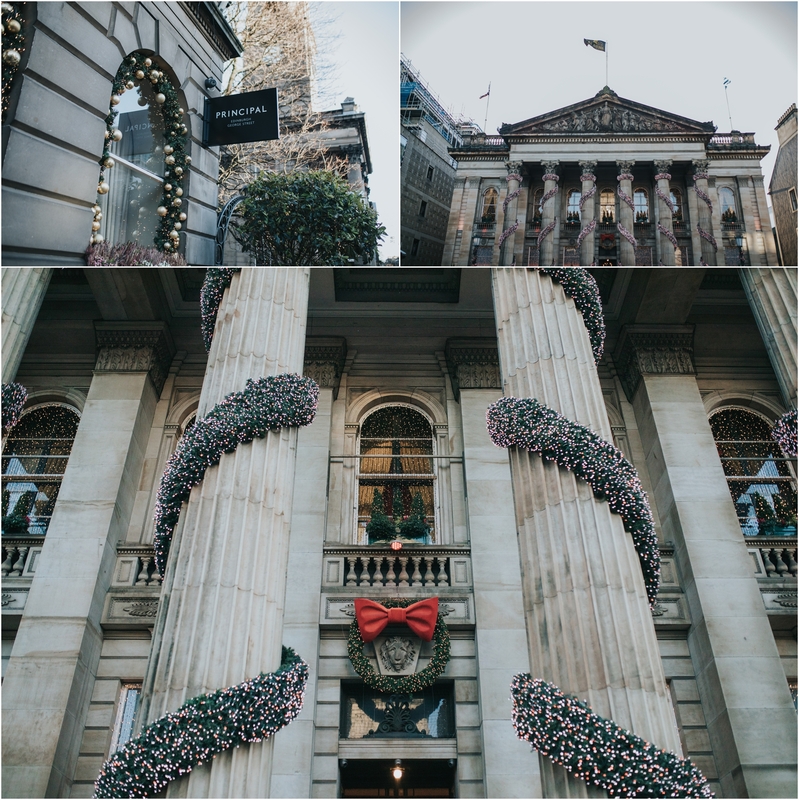 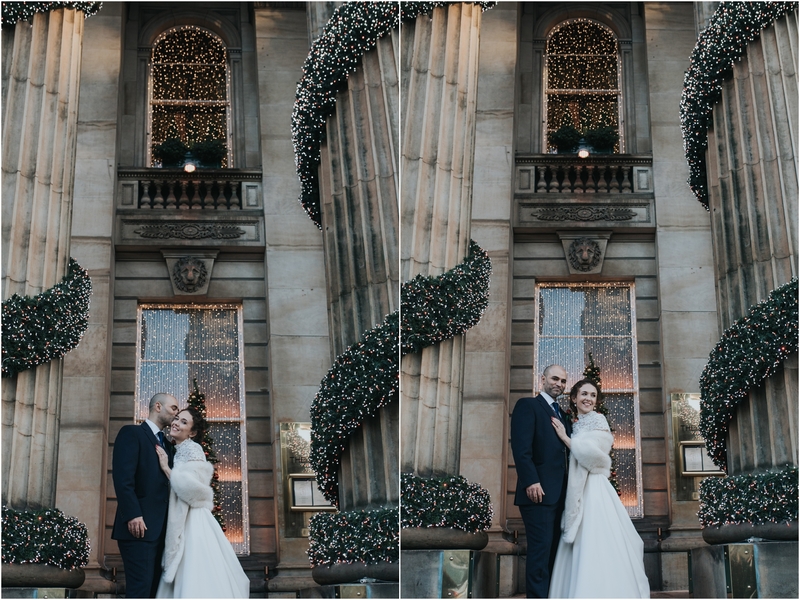 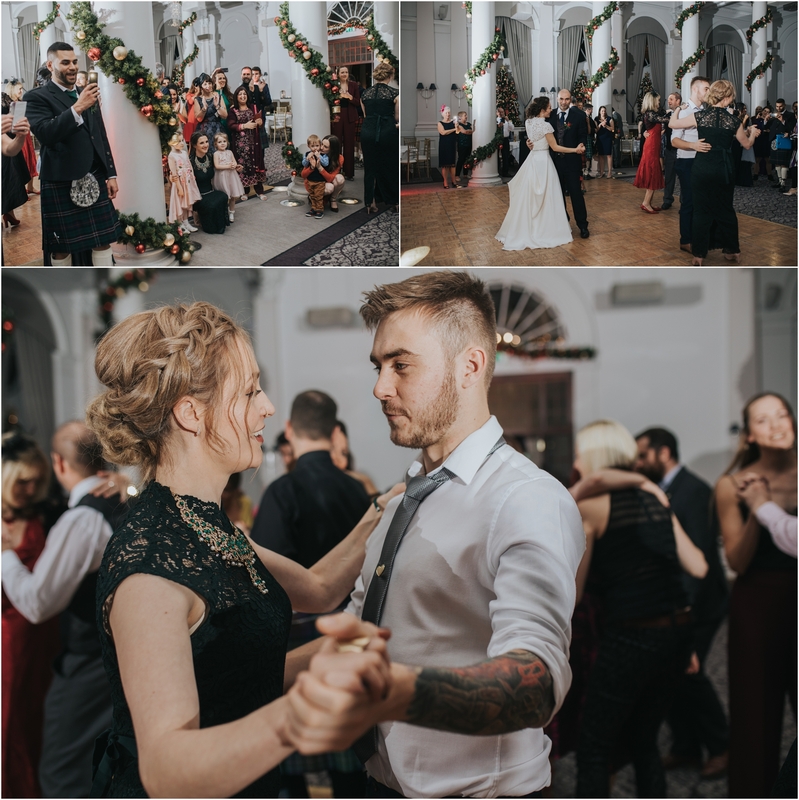 We went out to The Dome for their couple shots, which is the iconic Edinburgh Christmas spot. 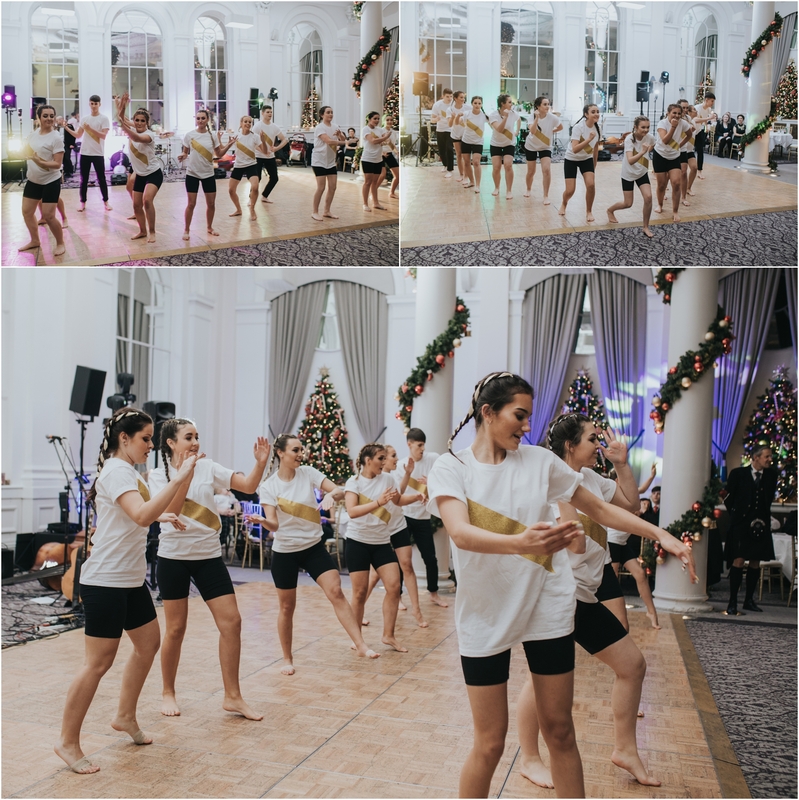 The Banjo Lounge 4 set off the party vibe perfectly, as well as a fabulous performance from the Sophia’s dance students. 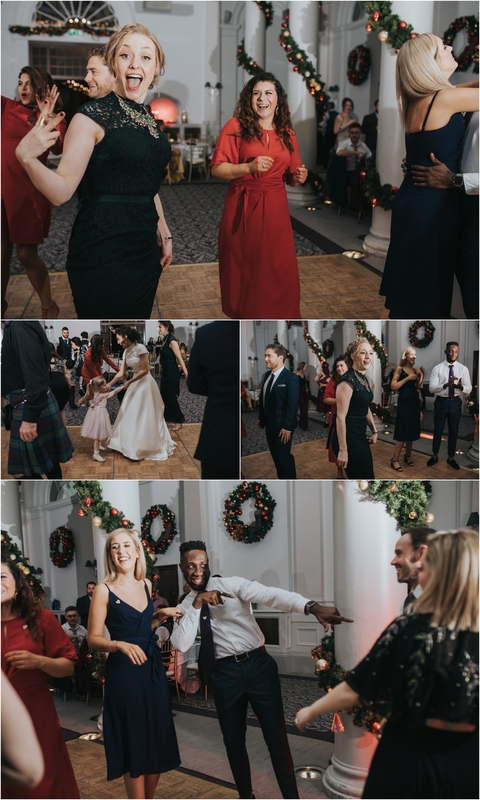 I was dancing around full of sparkle all day,. 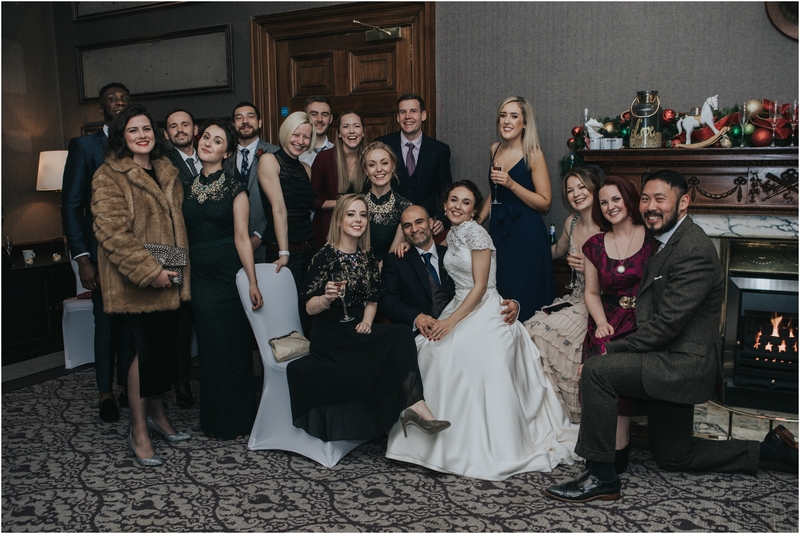 was a fantastic wedding and the warmest guests. 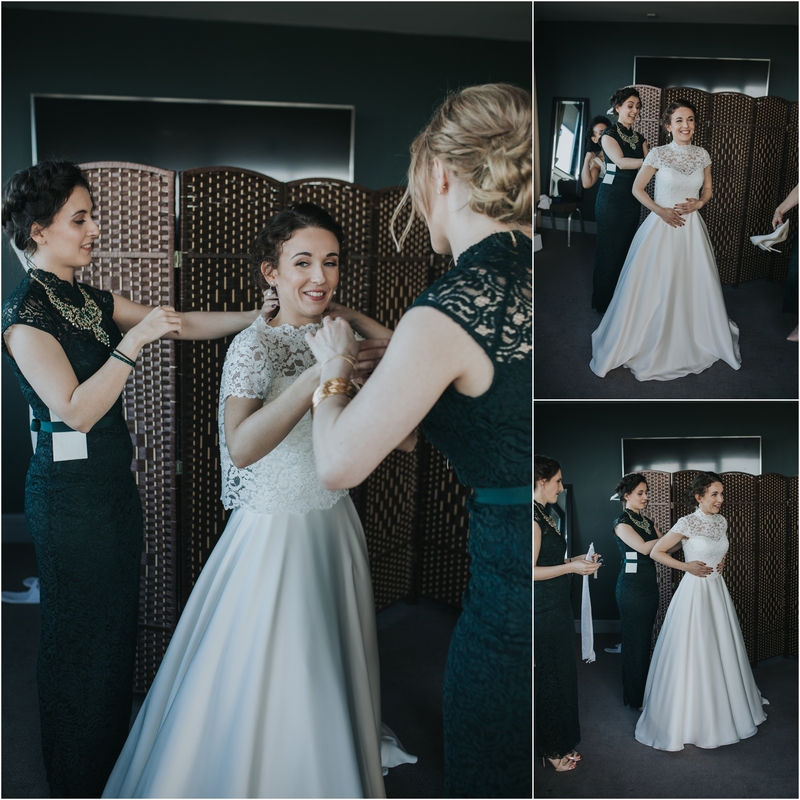 Thank you to the fabulous Scarlett & Bell for making the day run so smoothy. 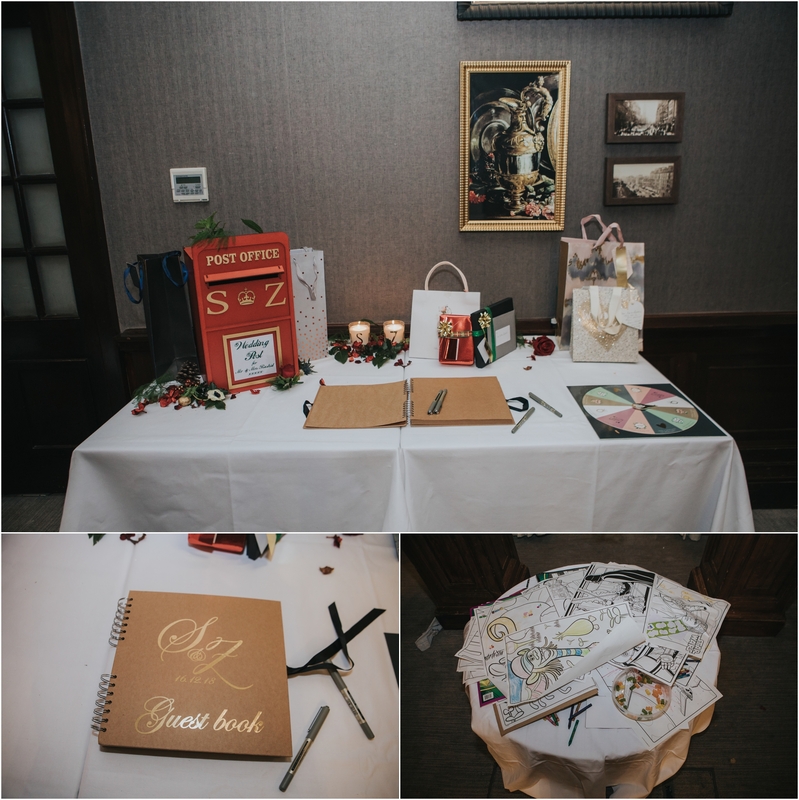 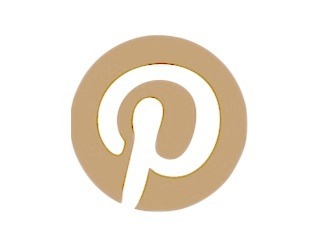 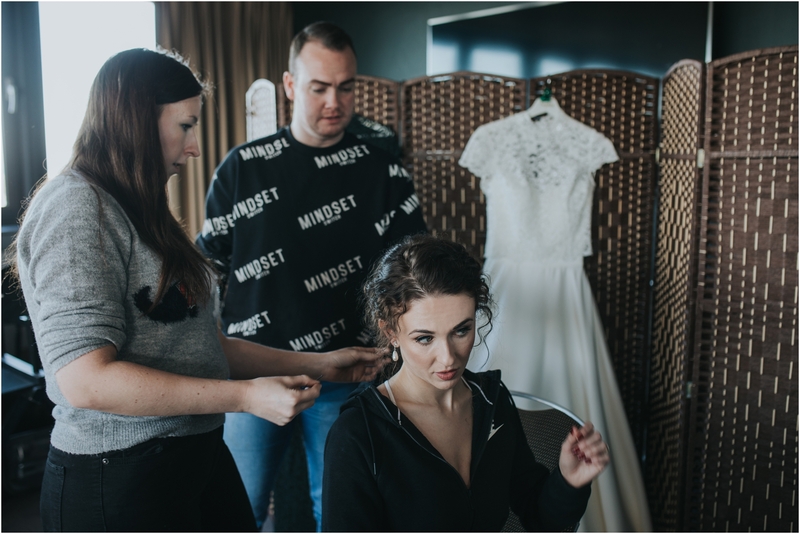 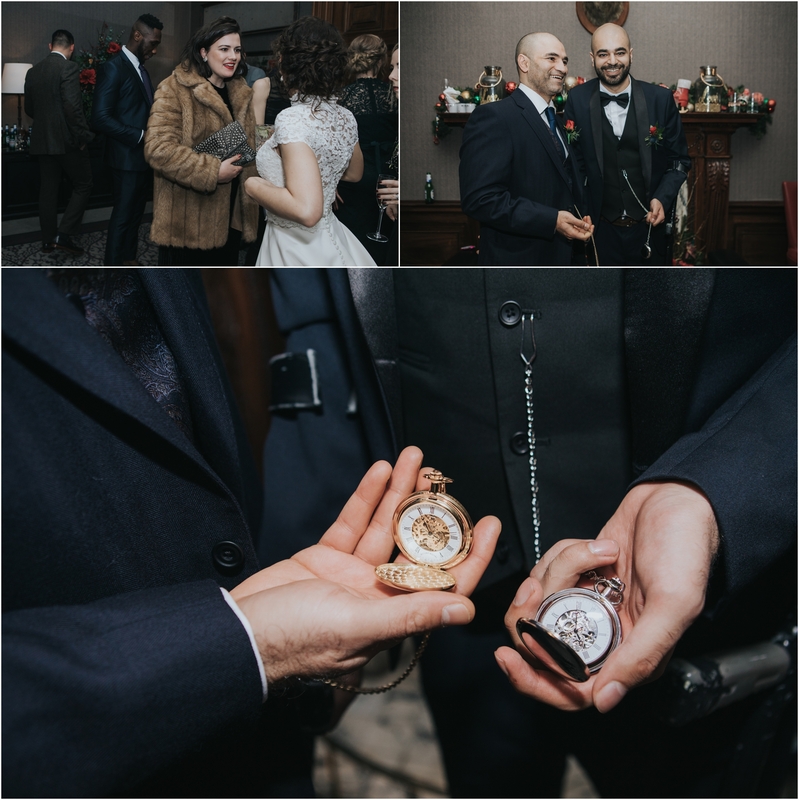 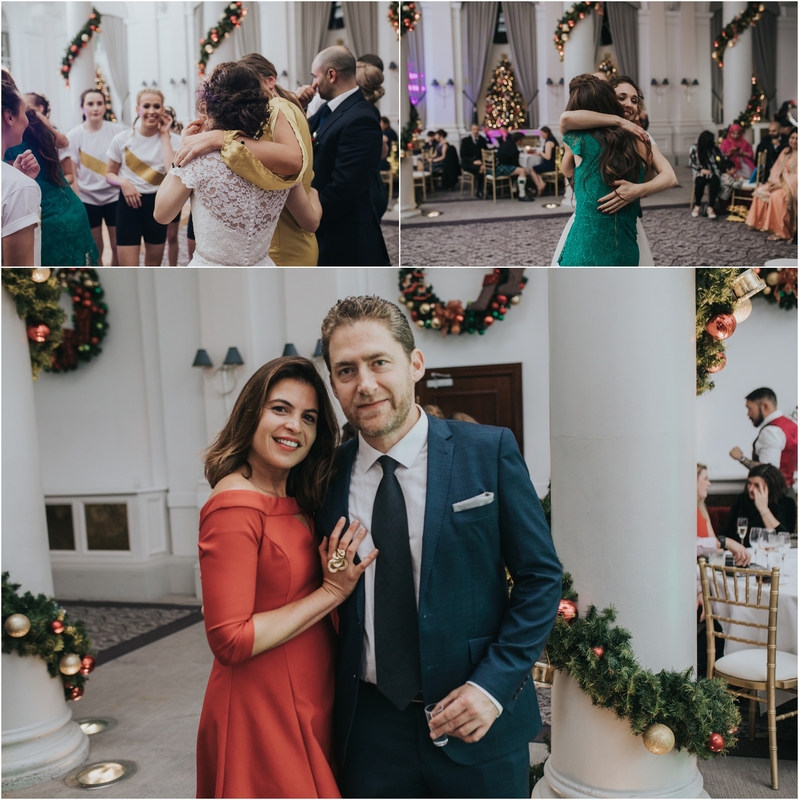 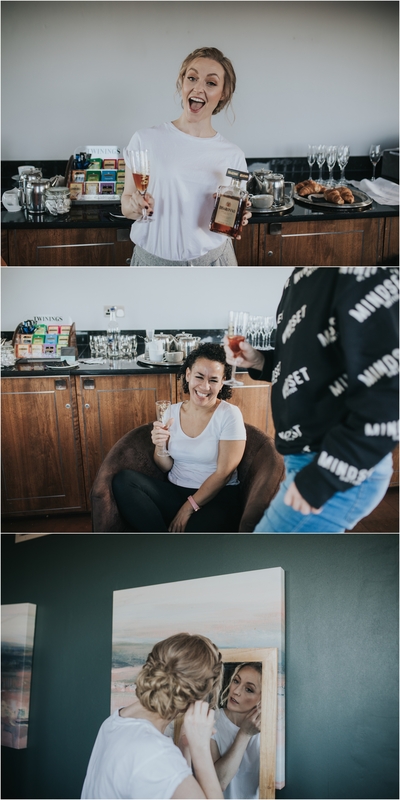 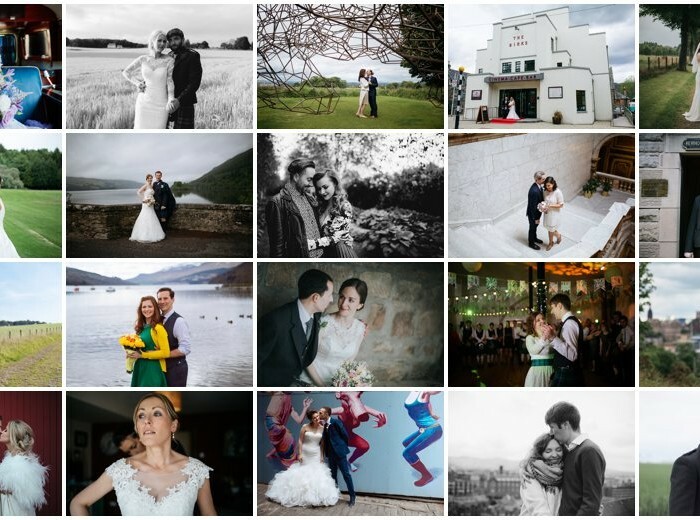 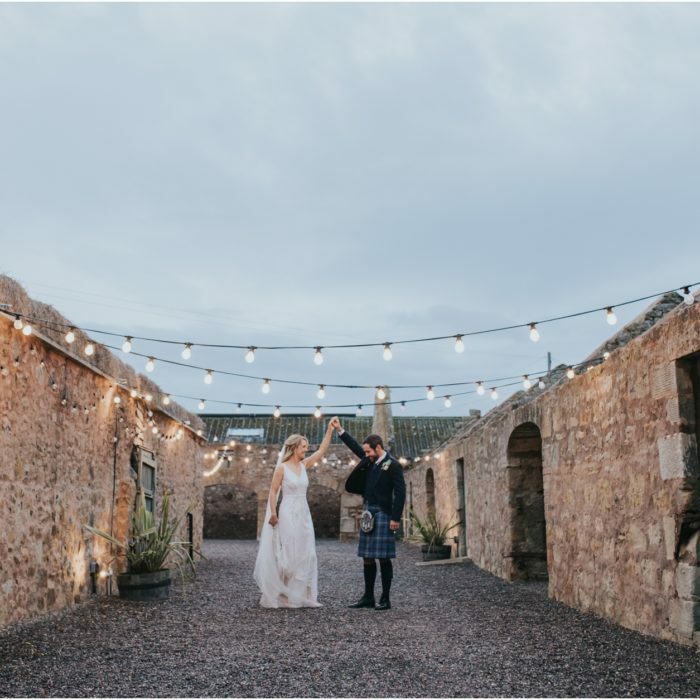 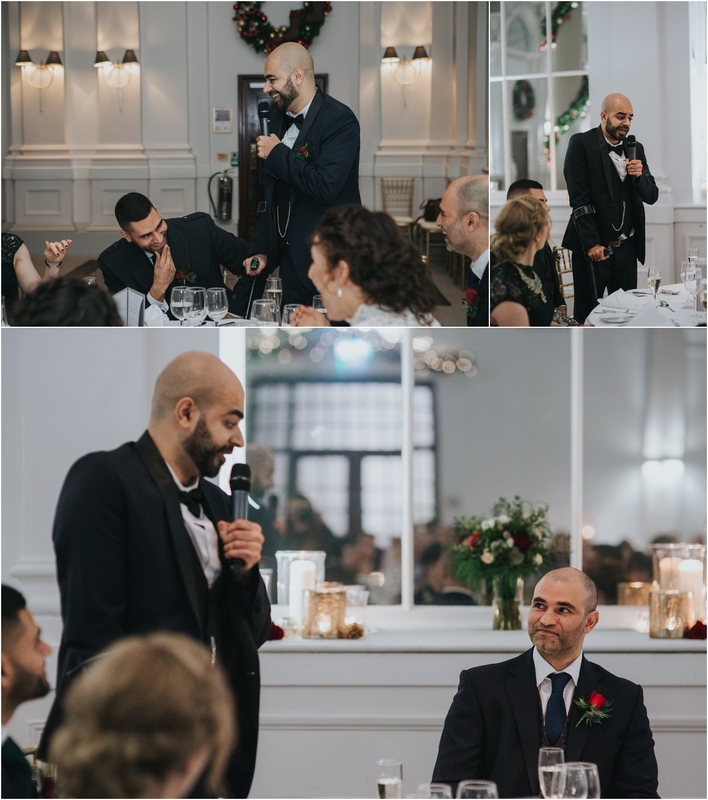 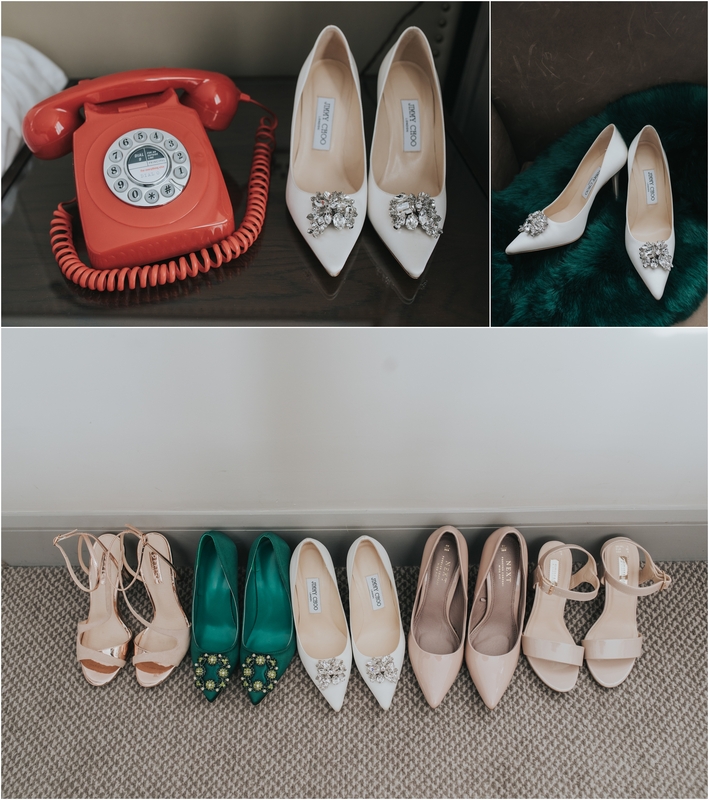 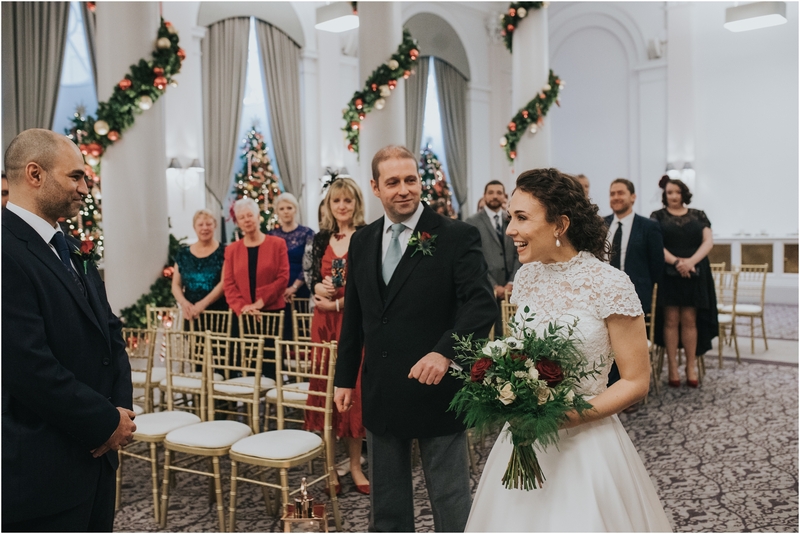 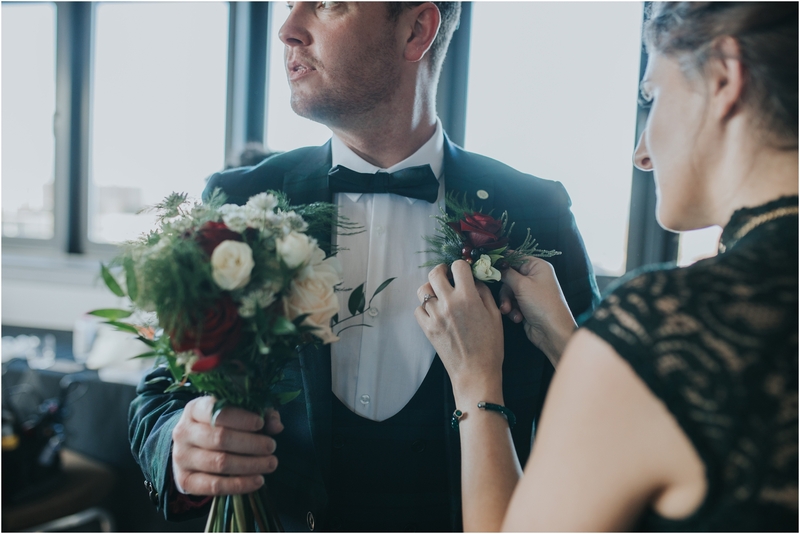 Planning a wedding and love the photos? 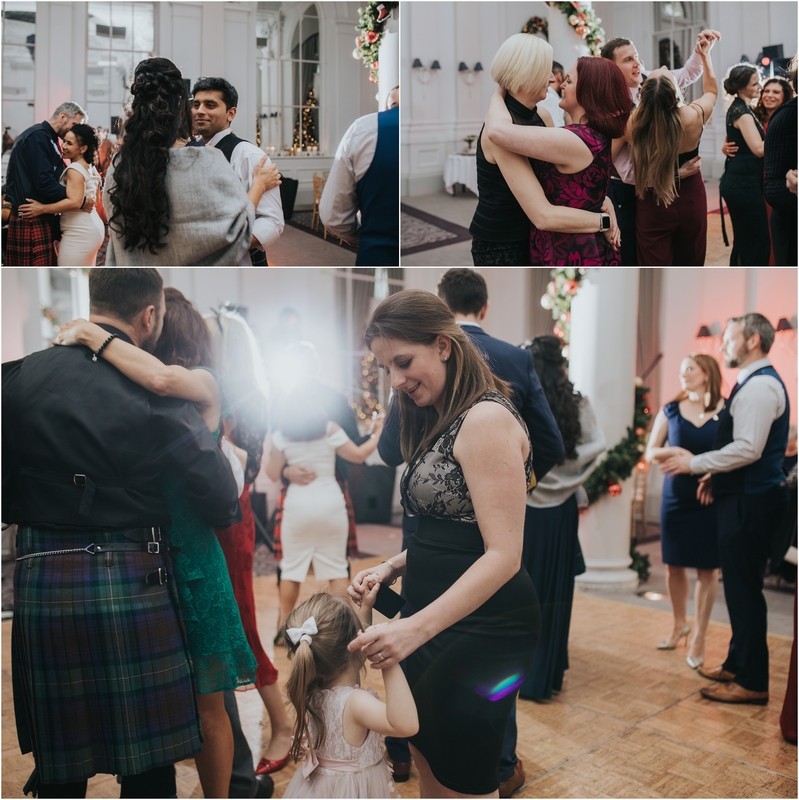 Please get in touch, I would love to hear from you.